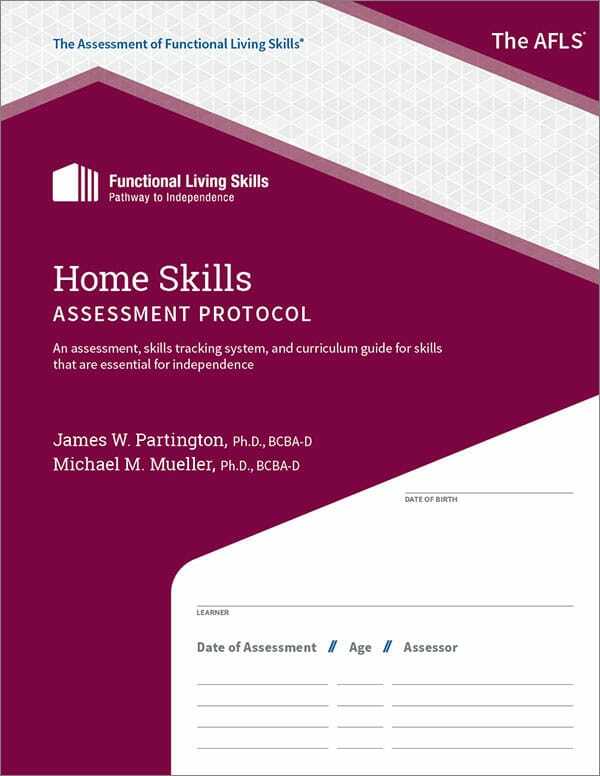 Whether the learner is living with parents, in a supported facility, a group home, or independently (with or without roommates); the Home Skills Assessment Protocol provides an essential daily living skills assessment of skills required for living in a home. Basic through more-advanced home skills are essential to learn for functional living. This protocol evaluates a learner’s ability to handle the daily mechanics of home living. Get your copy of the Home Skills protocol and the AFLS program today!